Music sensation Bird Barrett is hitting the road, headlining her first national tour after the launch of her second album. Singing to sold-out crowds can mess with a girl's sense of perspective though. Luckily Bird has her older brother Dylan and her best friend Stella along for the ride to keep her grounded. 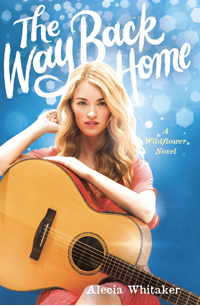 When Dylan and Stella pair off as more than friends, Bird starts feeling left behind and throws herself completely into her performances, cover shoots, and high-profile interviews. But the more she tries to distract herself with her career, the further she pushes everyone away—including her longtime crush, Adam Dean, who joined the tour as her opener. Before long all the pressure becomes too much for Bird on her own. In a life like this one, a country girl needs her family and friends—and maybe an old flame—most of all.